Kansas center Udoka Azubuike is pictured on Media Day, Wednesday, Oct. 10, 2018 at Allen Fieldhouse. Held out of Saturday’s loss at Iowa State for what were called “precautionary” reasons, the situation surrounding his injured right wrist turned disastrous for Kansas junior Udoka Azubuike on Sunday. According to a news release from the KU basketball program sent out Sunday night, an MRI of Azubuike’s right hand and wrist revealed that the junior from Nigeria tore ligaments and would need season-ending surgery. 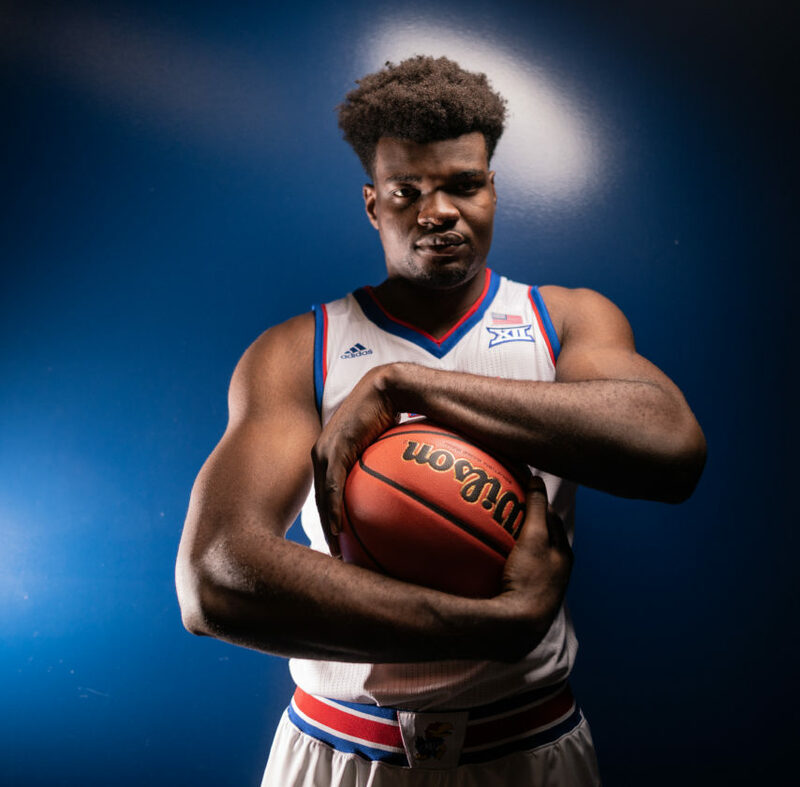 Thus ends what many expected to be a monster season for Azubuike, who started nine of KU’s 14 games this season but also missed five games because of two separate injuries. Since arriving at KU from Potter’s House Academy in Jacksonville, Fla., as a four-star, Top 40 prospect, Azubuike has suffered some kind of significant injury during each of his three seasons as a Jayhawk. As a freshman, the 7-footer missed the final 25 games of the 2016-17 season — after starting six of the 11 he played in to open the season — because of a torn ligament in his left hand during a fluke accident in a December practice. Self said Sunday that the ligament Azubuike tore this week was the same he tore two years ago in the opposite hand. Last season, as a sophomore, Azubuike dealt with mid-season back issues — but did not miss any time because of it — and also missed all three games of the Big 12 tournament and parts of KU’s first two NCAA Tournament games after suffering a sprained MCL during a practice leading up to the conference tournament. And earlier this season, after Azubuike flirted with turning pro during the offseason, the 7-foot cornerstone of KU’s offense missed four games and most of a fifth after suffering a severe ankle sprain in KU’s win over Wofford. Azubuike played in nine games this season, averaging 13.4 points and 6.8 rebounds per game. He was named as a candidate for the Kareem Abdul-Jabbar Center of the Year Award prior to the start of the season and was also on the preseason All-Big 12 Honorable Mention list. 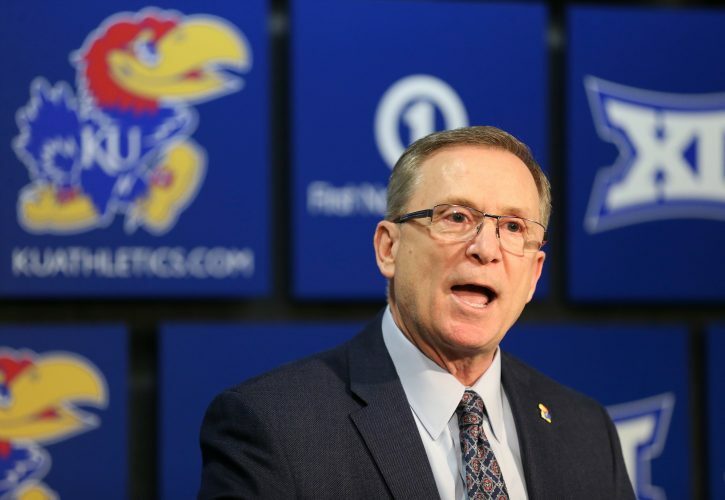 His absence figures to force Self and the Jayhawks to explore more small-ball lineups the rest of the way, something he has hinted at doing more of anyway given the success he has had with four-guard looks during the past couple of seasons. The difference between those teams and this team, however, is that Self’s recent small-look lineups have been full of dead-eye shooters, while 3-point shooting has been a bit of a weakness with the 2018-19 team thus far. 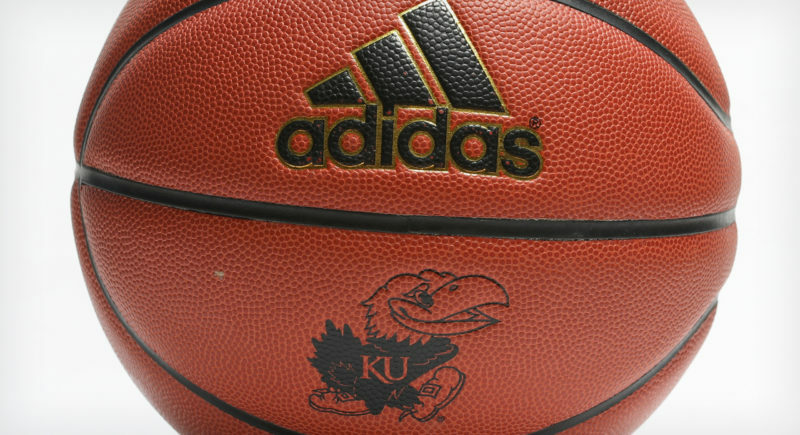 Adding to the uncertainty of what’s ahead for fifth-ranked Kansas (12-2 overall, 1-1 Big 12) is the fact that sophomore forward Silvio De Sousa, who filled in admirably when Azubuike missed time a season ago, remains out of action while KU waits on some kind of ruling from the NCAA regarding De Sousa’s eligibility. 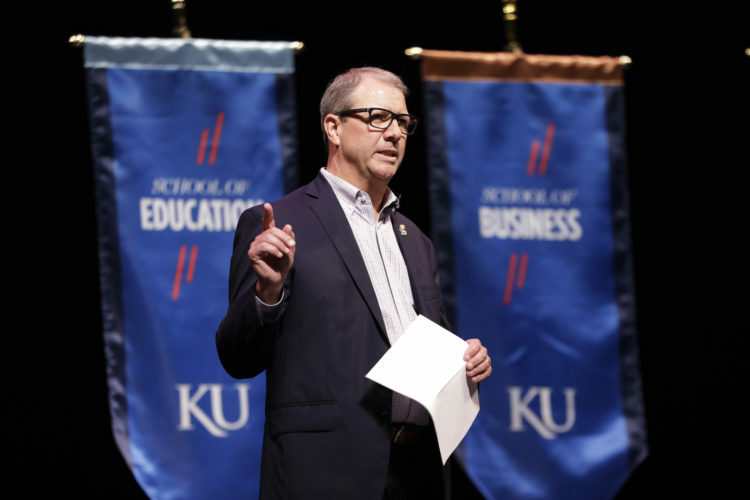 De Sousa’s name and that of his guardian, Fenny Falmagne, was tied to the recent college basketball corruption trial and KU has elected to keep De Sousa on the bench while the school and the NCAA work to find a clearer picture of his alleged involvement. Beyond De Sousa, the Jayhawks have plenty of eligible options to fill their front court spots, but neither Dedric Lawson, David McCormack nor Mitch Lightfoot bring the same kind of ferocious and unguardable presence to the floor as Azubuike. 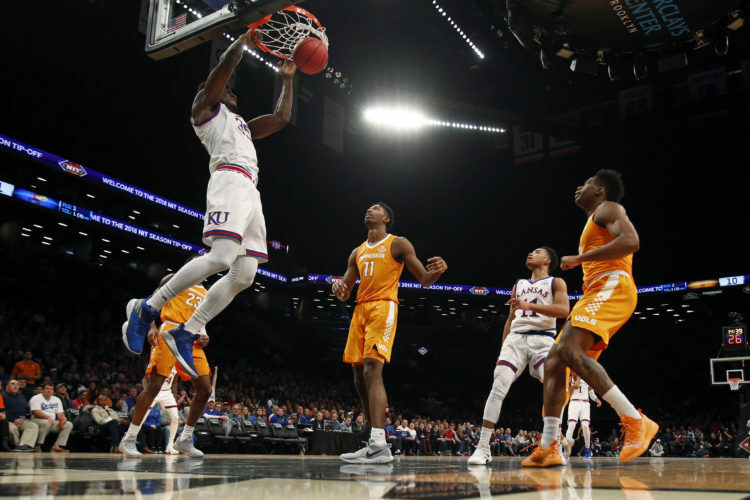 While that certainly hurts KU’s ability to dominate opponents in the paint, some of the Jayhawks’ best stretches of the 2018-19 season have come with Azubuike on the bench — which has allowed KU to play faster and more spread out — and Self has been in constant search of a way to maximize his team’s ability to play with Azubuike and Lawson at the same time, something that has not come as smooth or easy as many expected heading into the season. The 7-foot Nigeria native has averaged just over 20 minutes per game. Sophomore Marcus Garrett, a 6-foot-5, 190-pound combo guard from Dallas, started all five games Azubuike missed and is the most likely answer in the starting lineup from here on out with Azubuike now done for the season. The Jayhawks are off the next two days and will return to action on Wednesday, when TCU (12-1, 1-0) comes to town for an 8 p.m. tipoff at Allen Fieldhouse.